There was a first and last race double at Wexford for Joseph O'Brien when Imperial Way took the Jim Whitty Memorial (C & G) (Pro/Am) INH Flat Race. It was a fourth winner on the day at Bettyville for owners Gigginstown House Stud. O'Brien won a earlier maiden hurdle with Early Doors (J P McManus/Mark Walsh), and here he employed Patrick Mullins for the spin on Imperial Way. He got the better of market rival Mad Carew by five lengths. Mullins said on Imperial Way: "He did it well and he was entitled to do it on his good runs up the country at Leopardstown and Fairyhouse. "I rode him when Tom Mullins had him, so it was nice to get back on him. Thanks to Joseph and Gigginstown for letting me ride him. "I think he is a horse who will be better over a jump, and the further he goes the better I'd say. I think they'll have a lot of fun with him." 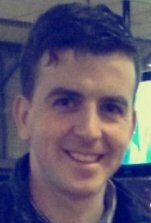 J P McManus' odds-on favourite Early Doors justified his market-position in the opening Nick O'Donnell Memorial Maiden Hurdle at Wexford. The Joseph O'Brien-trained and Mark Walsh-ridden Early Doors was looking good from three out but he was pressed by Niven from before the next. A bit sticky with his jumping at times, the smart bumper performer and hurdling debutante was convincing at the finish, by a length and a half from Niven. "He had the best bumper form in the race and you'd be disappointed if he couldn't do it like that," said Walsh. "His jumping could improve but you wouldn't mind that on his first run over hurdles. He seems a nice horse. "With that under his belt now you'd be hoping he'll progress. I was always happy enough on him. "I just took it up sooner than I wanted because I just didn't think they went that quick. I saw from his bumpers that all he does is gallop and he had the class to just outstay them." Joseph O'Brien's Tesseract came out on the right side of a driving finish to the two and a half mile handicap chase in Wexford. Barry Geraghty guided him up on the outside of Don Vincenzo at the last as Full Cry held every chance on the inner as well. Don Vincenzo was soon passed by the other two horses and weakened in third on the run-in. Tesseract was ridden by Geraghty as the pair were fought all the way to the line by Full Cryand Andrew Lynch. It was Tesseract who got the verdict by a short head at 11/2 from the 8/1 chance Full Cry. Don Vincenzo (10/1) passed the line six lengths back. 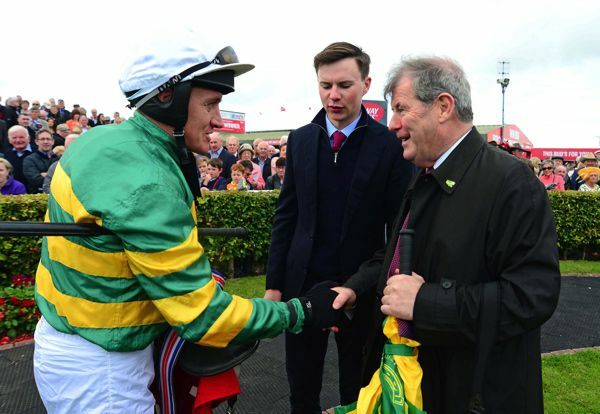 Barry Geraghty said: "His jumping is sloppy. 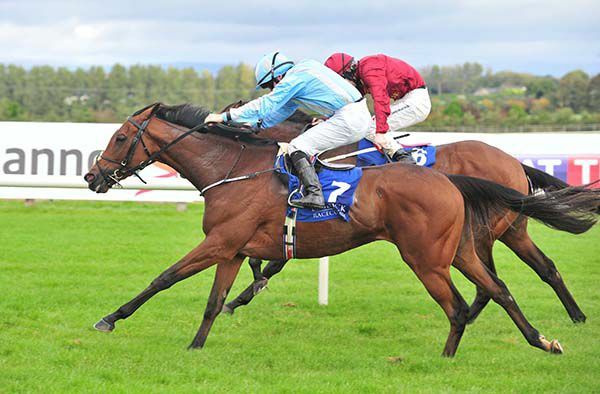 He is a horse that makes plenty of mistakes, he did in Galway the last day and again today. "He did battle well though, and jumped the last two well. We were all out to win and it was a nice pot to get. "He needs to improve his jumping no matter where he goes. He is more a lad for the summer than the winter." 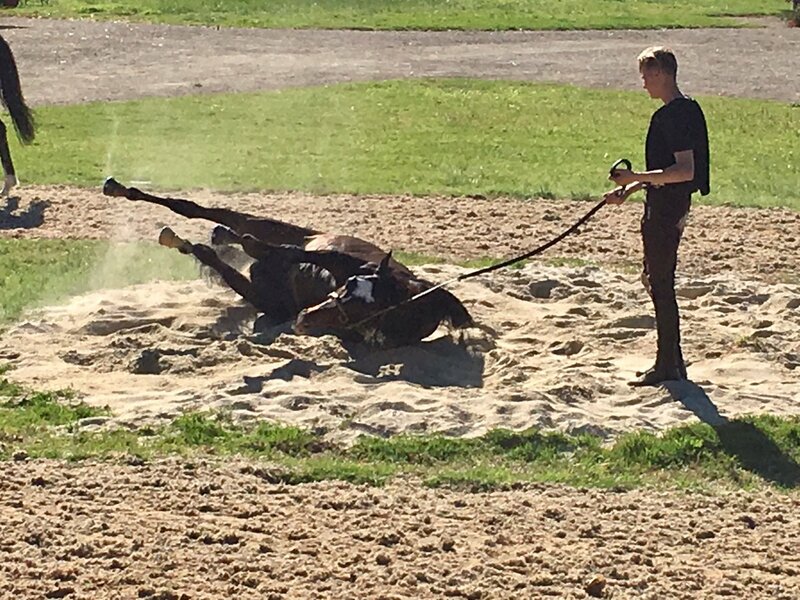 Lloyd Williams went to Werribee to watch Caulfield Cup third placegetter Johannes Vermeer and US Army Ranger and Rekindling work together on Sunday morning after supervising Almandin's workout at Moonee Valley on Friday morning. Williams was delighted with the condition of Rekindling and US Army Ranger, which are trained by Joseph O'Brien and will have their first Australian starts in the Melbourne Cup at Flemington on November 7. Both have put on weight since arriving. Rekindling ran in the English Derby this year and won a Curragh Cup before being second in the Irish St Leger and fourth in the English St Leger at Doncaster last time. "I wouldn't be at all surprised if Rekindling is a very good staying horse," Williams said. "I thought his run in the [English] St Leger was terrific. "He's a tough little fellow. He has had a long season but he looks good and has put on weight since he has been here. "He is showing good signs and Corey Brown will ride. He hasn't ridden for me 20 years." Last year's English Derby runner-up US Army Ranger also looks the part at Werribee and despite his form this year tapering off, Williams is getting good reports from the Ballydoyle team. "Aidan [O'Brien] keeps telling me to get the best available jockey for US Army Ranger because he is going to surprise us," Williams said. "All of the instructions I have had is that I can pick the jockeys but I have got to get a proper jockey for him that rides him well. "The new environment and the change of gear Aidan reckons he will run well. "He is a high-class horse. There is no doubt about that but he just hasn't been on the ball." 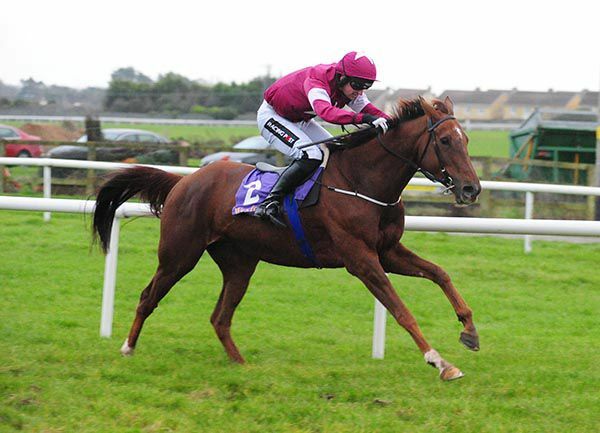 Sixteen year old Alan Persse steered his first winner at Leopardstown today, landing the TheTote.com Irish EBF Fillies Nursery for trainer Joseph O’Brien. Persse, having just his eighth ride, produced the daughter of Power with her challenge with a daring run along the inside with a furlong to race and in the end the pair stayed on well to beat Its My Turn by two lengths. Regarding Damselfly, he added “she's a tough little filly because she's been busy all year and that's probably by far her best run. Joseph O'Brien told our Matt Brocklebank how he's relishing the prospect of Now You're Talking running in the Breeders' Cup Juvenile Fillies Turf at Del Mar. 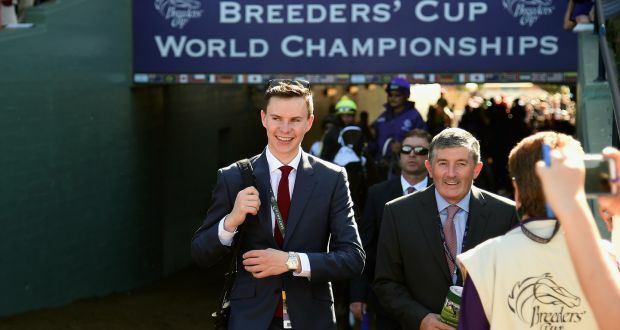 Joseph holds the record for being the youngest jockey to ever ride a winner at the Breeders' Cup following his memorable 2011 Turf success on St Nicholas Abbey, and the 24-year-old is now bidding to become the youngest trainer to strike gold at the meeting with five-race maiden Now You're Talking. Despite having not yet got her head in front, the daughter of Zoffany has produced some eye-catching performances in Group company throughout her two-year-old campaign, including a fine fourth to Heartache in the Queen Mary Stakes and fourth to Clemmie in the Cheveley Park Stakes at Newmarket when last seen. Joseph saddled his first Breeders' Cup runner when Intricately contested the same race at Santa Anita last year and he's looking forward to another trip to the States, though does admit his filly is likely to be no more than an outsider. He told sportinglife.com: "The intention is to run Now You're Talking, she's in very good form. "We think she'll really like the fast ground out there and although we're stepping into the unknown a little bit with the move up to a mile, we hope the extra distance might bring out the improvement she obviously needs to make. "It'd be unbelievable to win it but I wouldn't want to think about that too much at this stage, she's going to be one of the outsiders. I'm not sure who's likely to ride her at the moment as the weights mean Donnacha (Joseph 's younger brother) might not be able to. "The Breeders' Cup is a special meeting and one of the earliest memories I have of going out there is with Giant's Causeway at Churchill Downs, but what I always feel is that the competition is extremely tough and to train a winner there would be unbelievable." The Joseph O'Brien-trained Escamillo justified good support in the mile maiden at Navan as he spread eagled the field in the closing stages. The Bated Breath colt finished ninth of twelve runners on his sole previous start at Leopardstown back in May. He was backed from as big as 20/1 this morning and returned a 5/1 shot on course. Donnacha O'Brien's mount missed the kick today but made up ground quickly on the outer to lead two-and-a-half furlongs from home. He pulled clear before the furlong marker and stayed on strongly to record an eight length success over Stoic Soul. 7/4 favourite Tashman was a length back in third. “We liked him early on in the year but he ran bad in Leopardstown. I thought we went on a bit early with him so we gave him time, and he’s come back and won nicely,” said the winning trainer. 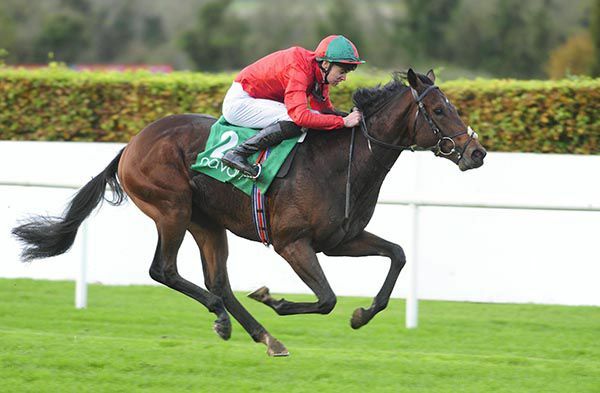 “The ground (at Leopardstown) was very quick, it was six furlongs and turned out to be a very good race. We were disappointed on the day but it was lovely to see him do that today. “I was a bit worried early as he was so green but Donnacha pulled him out in the straight and he quickened up well. “He’s one to look forward to next year, and we could start him off anywhere with an ease in the ground in the spring. 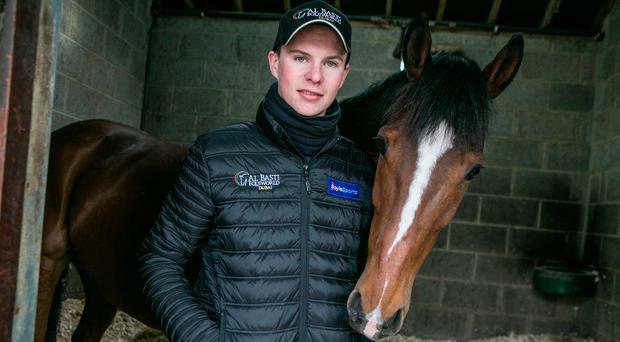 Joseph O’Brien’s Castrogiovanni got off the mark at the seventh attempt at Fairyhouse today when landing the opening Gillian Carey Award Winner Median Auction Maiden under the trainer’s brother Donnacha O’Brien. The son of Approve was produced to lead over a furlong out and in the end stayed on well for an easy five and a half lengths win over Bronze Age. Baroness was much too good for the opposition in the Irish Injured Jockeys Nursery Handicap (Plus 10 Race) at Leopardstown to triumph for the Joseph O'Brien yard. 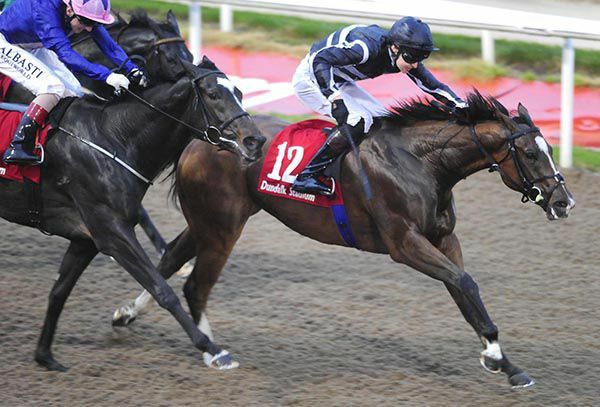 O'Brien's brother Donnacha was in the plate for the spin on Baroness. Fifth on her three previous starts, the Declaration Of War filly stepped up to see off Magic Sea and the rest by three and three parts of a length and more. Joseph O'Brien said afterwards: "She ran very well first time out (at the Curragh) and then ran back there on very bad ground on her second run and hated it, and then got flittered coming out of the stalls at Dundalk and the race was over. She kind of ended up well handicapped by circumstances. "It was nice to see her do that and Donnacha gave her a lovely ride. I'd imagine that will be it for this season, and she should make up into a nice middle distance filly next year. The County Kilkenny trainer also saddled the sixth and seventh home, Drapers Guild and Sebastiano Ricci. 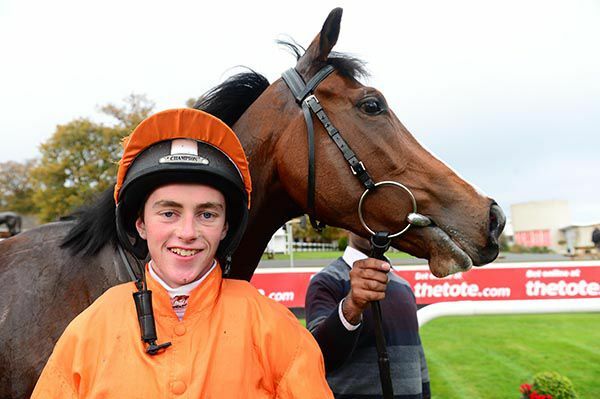 Sean Corby rode his second winner for his boss Joseph O'Brien when Thomas O'Malley came out on top in the Irishinjuredjockeys.com Apprentice Claiming Race. The Annus Mirabilis Syndicate owned 7/1 shot got the better of Lleyton (33/1) by a length and a half with a length and a quarter back to New Story in third. "Joseph told me to be good and handy on him and he travelled nicely turning into the straight," said Corby. "I probably could have done with something coming with me as I was there on my own soon enough. "There is a good old headwind but he stuck at it well in fairness. He showed a good attitude and the blinkers probably keep him straight and keep him concentrated. 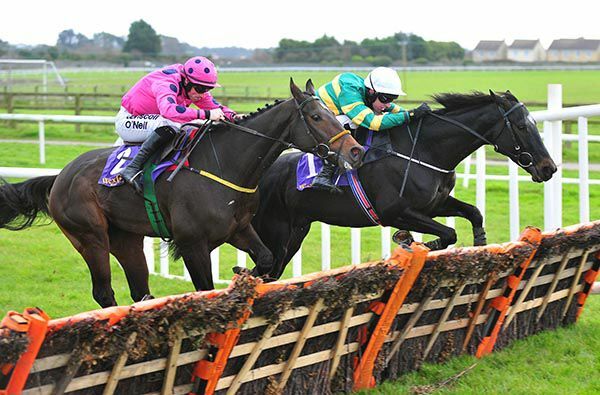 "His last run over hurdles at Thurles was good and he's a versatile fun horse." 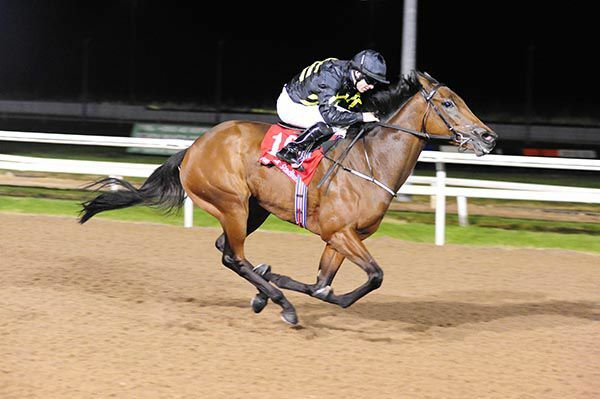 Shalailah deservedly made the breakthrough when winning on outing number six in the Irish Stallion Farms EBF Fillies Median Auction Maiden (Plus 10 Race) at Dundalk. Harvestfortheworld ran a huge race on debut but she eventually had to yield to the Joseph O'Brien-trained and Donnacha O'Brien-ridden Shalailah by half a length. "She was rated to do that and I think she will be better when she goes back on turf. She stuck her head out today," said the winning rider. "I'm not sure that she's in love with that surface, and when it rains it tightens up a bit and makes it even quicker. She doesn't want soft ground but just might be better back on turf." In-running punters suffered carnage as Apparition gained an unlikely victory in the Devils Bit 3-Y-O Maiden Hurdle at Thurles. The well-backed 5/4 favourite was up with the pace throughout but looked booked for minor honours when chief market rival Mitchouka cruised to the front after the penultimate flight. A slight mistake at the last meant Davy Russell had to get down to work on the leader, and he was steadily reeled in by the Joseph O’Brien-trained favourite. J J Slevin’s mount just got up in the final stride to prevail by a nose, with the winner’s stablemate Thomas O’Malley nine lengths back in third. 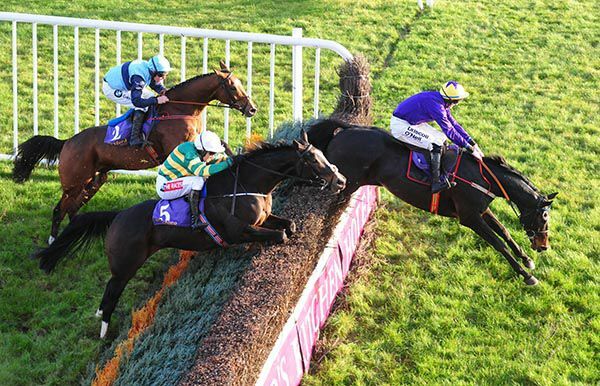 Apparition won twice on the Flat this year at the Curragh and Killarney to earn a rating of 89, and was third on his hurdle debut at Gowran Park last month. Macedon Lodge have backed young Irish horseman Joseph O'Brien, doubling his hand in this year's Emirates Melbourne Cup with the addition of US Army Ranger. The four -year-old has been transferred into the trainer's care from that of his famed father Aidan O'Brien, having been recently purchased by five-time Cup-winning owner Lloyd Williams. A son of Galileo, US Army Ranger won the G3 Chester Vase (2500m) as a three-year-old before a brilliant second to Harzand in last year's G1 Epsom Derby (2400m). 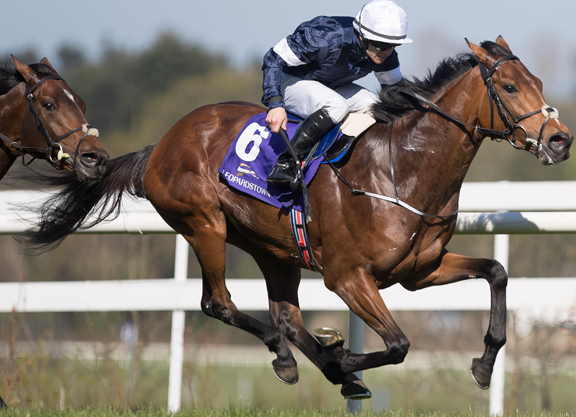 While his form has wavered this season with six winless starts, that of his new stablemate Rekindlinghas been exceptional for O'Brien and Williams. 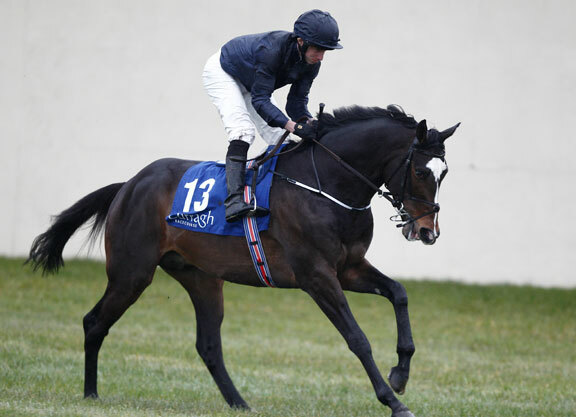 The son of High Chaparral has won two of his six starts in 2017, including the G2 Curragh Cup (2800m), and was beaten only two lengths in the St Leger (2900m) at Doncaster last month. 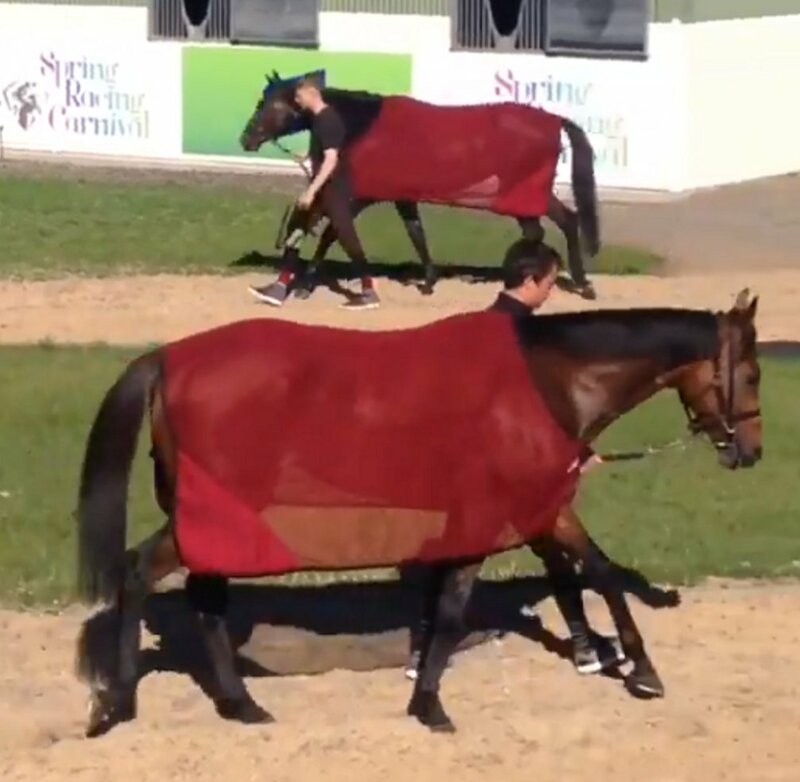 Speaking from Werribee on Wednesday morning, Nick Williams said the reports out of Ireland about the progress of both horses had been positive ahead of their arrival in Melbourne on Saturday. "They've been quarantined over in Ireland and Joseph is very happy with both horses," Williams said. "I think Rekindling in particular is a very promising young horse, he's a three-year-old and he's got 51.5kg in the Cup. "He's a very light horse and he won't take much work when he gets here." The Williams family have raced several top-class horses with Aidan O'Brien in recent years, including three-time G1 hero Order Of St George, and Nick Williams said he was delighted to provide his son with his maiden Australian runner this spring. A multiple Group 1-winning rider during a short-lived career in the saddle, O'Brien has trained more than 70 winners since taking out his licence in 2016. "Joseph, without question, is going to be one of the world's leading trainers," he said. "He's only young and he's only been going two years but he's got some huge support in Europe and he's doing a wonderful job." Newcomer The Gunner Murphy completed a double at Galway for Joseph O'Brien, as he took the Jamie Kyne Memorial Flat Race. The four-year-old son of Oscar was well-supported earlier in the day, but touched 5s on-course, before going off a 9/2 chance under Derek O'Connor. Settled behind the leaders by O'Connor, he improved to lead on the approach to the straight. He drifted towards the stands side rail inside the final furlong, and found plenty under pressure, going on to score by half a length. The 15/8 favourite (from 5/2) First Approach attempted to chase down the winner in the closing stages, but he ultimately had to settle for second under Nina Carberry for Noel Meade. Stooshie (11/4) completed the placings another eighth lengths back in third with Jamie Codd in the saddle for Gordon Elliott. The winning rider said afterwards: "He is a very nice horse. I hadn't sat on him before today but we were very concerned about the ground because it is quite testing. It was a good performance from a horse first time out to handle the conditions as he did and he showed a good bit of speed in the finish. I think he's very nice." Joseph O'Brien was earlier on the mark with Persistent. Persistent recorded his third win of the season, as he led home his rivals in the Galway City & Salthill Publicans Charity Handicap Hurdle. 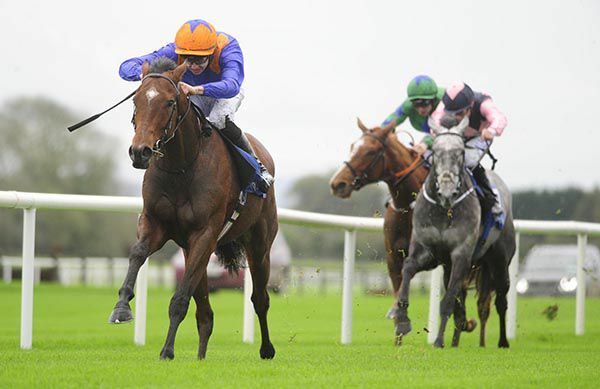 The Joseph O'Brien trained four-year-old was successful on his handicap debut at Killarney in June, before winning again at Tipperary on his most recent start. He went up just five pounds for that Tipperary victory, and was sent off the 9/4 favourite (from 3s) to follow-up this afternoon. Settled in mid-division by Barry Geraghty, the son of Montjeu appeared to have plenty to do when jumping two out in eighth. He was soon pushed along and made good progress, coming with his challenge after the last. He then hit the front in the final 150 yards, before going on to score comfortably by two and a half lengths. Frank Berry, racing manager to winning owner JP McManus, said afterwards: "He's not too big but he is tough and the light weight helped again today. He handled the ground quite well, is tough and going the right way." US Army Ranger has moved stables from Aidan to Joseph in an move designed to reignite the spark which saw him finish second to Harzand in the 2016 Group 1 Investec Derby at Epsom. He is a winner of 2 of his 12 starts including the Group 3 Chester Vase. 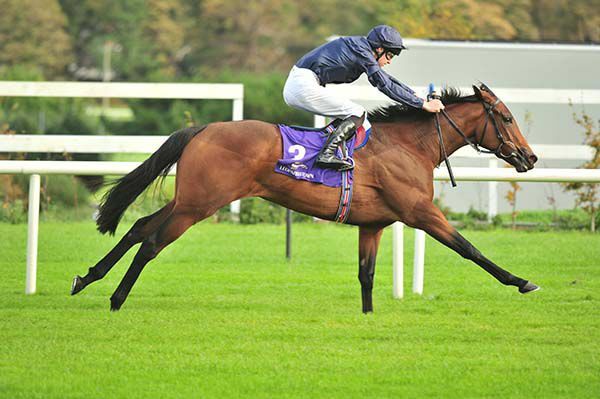 His first move with the colt is to send the son of Galileo to Australia for a tilt at the Melbourne Cup along side stablemate Rekindling. A switch to hurdles, though, is not part of the plan at the moment for the four-year-old. "I'm training US Army Ranger now and we're hoping the switch of stables might freshen him up," said his new trainer on Monday. "He heads to Australia with Rekindling and both of them seem to be in very good form. At the moment hurdling is not something we are thinking about for US Army Ranger." Joseph O'Brien's Detailed won a final-furlong battle with Cannonball to take the Listed Martin Molony Stakes over an extended mile and a half in Limerick. Cannonball and Colin Keane got a lovely run up the inner to pick up the lead over two furlongs out. Detailed and Wayne Lordan unleashed their challenge on the outer over a furlong from home. Cannonball refused to yield on the inner though and fought well but it was Detailed who got his measure close home to get up by half a length at 7/2. 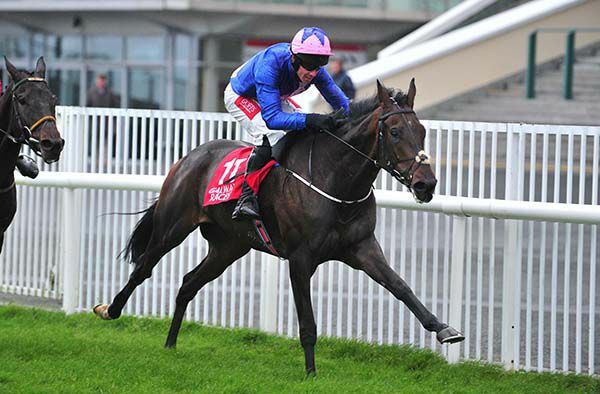 Jockey Wayne Lordan said: "She is a progressive filly that is very tough and ran a very solid race in Doncaster. I spoke to Joseph this morning and he was delighted with her at home and said she bounced out of her Doncaster run very well. "She handles that ground and with fillies like her you don't know where they'll end up and it's a good win for her and she's a Listed winner now." Zawraq, the 5/4 favourite, weakened out of contention in the final quarter of a mile. He was found to be lame on his right fore. This was Detailed fourth win of 2017. In addition, she was a close fourth in a Group Two at Doncaster last month. 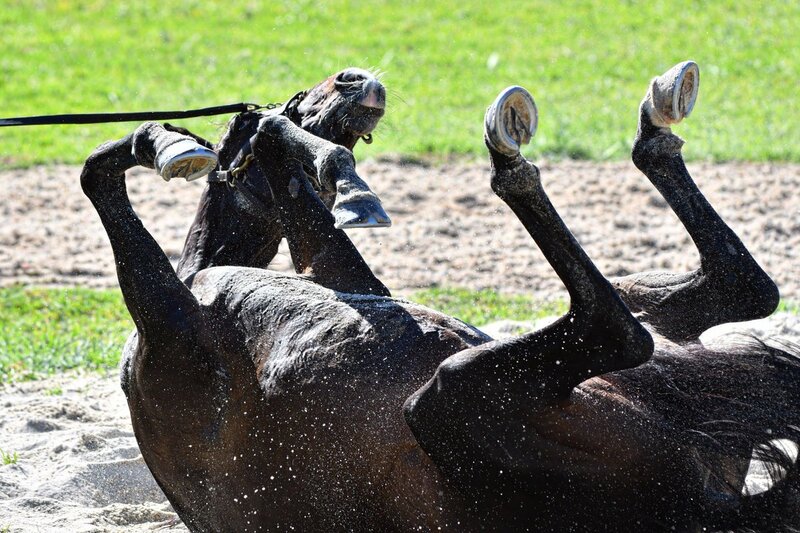 The questions have been asked will Rekindling be able to take part in the Melbourne Cup? 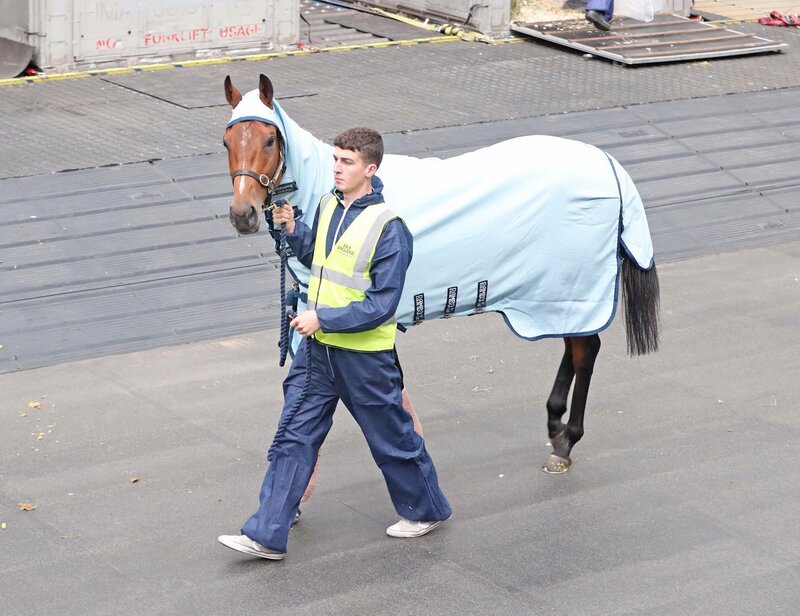 He is currently in quarantine in Europe & will fly out soon, his weight in the cup will be 51.5, he is 11th in the race, and will get a cup run. 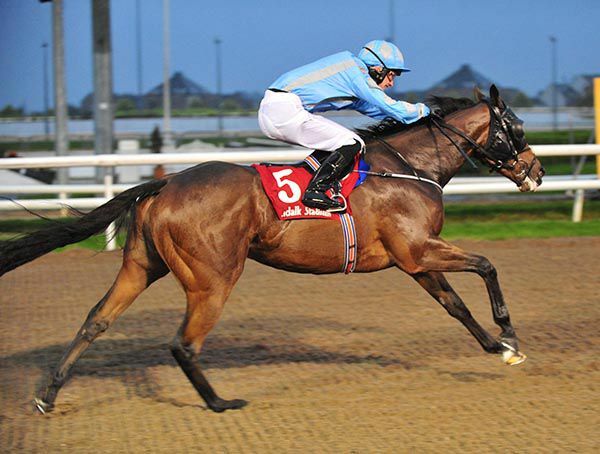 French Mix turned Division Two of the mile and a half handicap at Dundalk into a procession under Wayne Lordan. 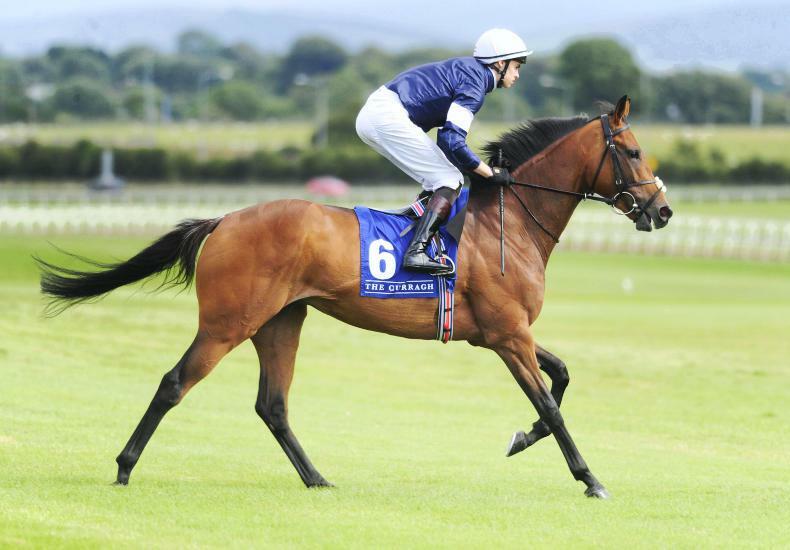 Joseph O'Brien's three-year-old filly, lobbed along in second approaching the home bend. She eased past Rock On Rosie entering the straight and was given the office with less than two furlongs to go. It was noticeable that all 13 rivals had come off the bridle as she thundered clear on the Polytrack. Nobody could lay a glove on her as she hit the line seven and a half lengths to the good. She landed a punt from 14/1 to 8/1. Gold Struck got up for second at 12/1. Weightfordave (5/2jf) was three parts of a length back in third. Wayne Lordan said: “It was her first time on the surface and I just jumped out and rode a straightforward race. She quickened up really well, went to the line well and got the mile-and-a-half well. The last week delivered three winners for us in Persistent, West Coast Time and Landofhopeandglory. 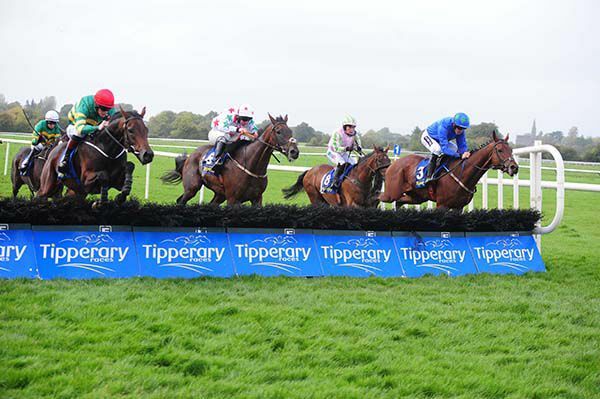 I was surprised with how well Persistent handled the ground conditions at Tipperary. His task was made easier with the leader running out at the second last. It was his first run since a mid-summer break and while he probably won’t handle deep winter ground, we’ll keep him on the go until the ground deteriorates. we’re entitled at this point to think he’ll be up to graded company. 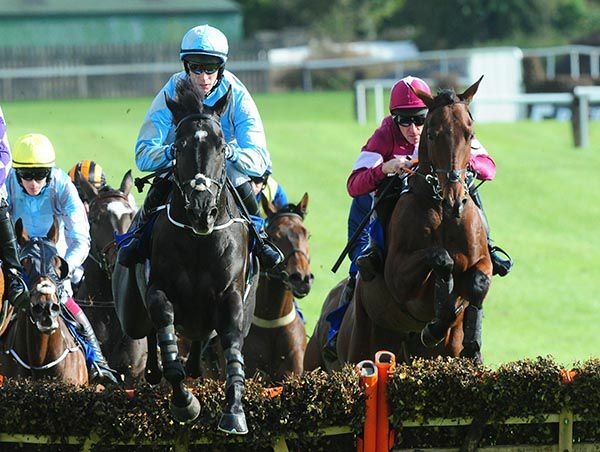 Landofhopeandglory won the graded novice chase at Roscommon last Monday. I was pleased to see him put in a solid round of jumping after falling at Galway last time. We’ll keep him going now – his runs will be spread out but we’ll pick and choose our way with him over the coming months. Housesofparliament ran well in the graded novice hurdle at Tipperary. I thought he was going to be a good second before he was just run out of it close home. He jumped very well on ground that wouldn’t have been ideal. Across at Chantilly, my father had a great day with Happily and Rhododendron winning the Prix Jean-Luc Lagardere and Prix de l’Opera. Happily toughed it out really well against the colts, while Rhododendron got a deserved three-year-old Group One victory. She’s a slightly forgotten filly. she now heads to the Breeders’ Cup Filly & Mare Turf at Del Mar. The sheer class of Enable was again displayed in the Prix de l’Arc de Triomphe. She became the sixth filly in seven years to win the ‘Arc’ and she looks every bit as good as Found and Treve. I know people enjoy comparing generations but I enjoy watching every horse as an individual. We could be here until next year debating if Enable would beat Treve! Enable never looked in any danger throughout the race. Frankie Dettori got an ideal position settled just behind the leaders and importantly on the outside. Frankie on the big days is as good a rider as anyone in the world. If asked what sets him apart, I would say his pace brain – he’s got a great feel for knowing where he should be positioned in the race. When I was riding against him, he was always and still is a superb judge of pace from the front. There was drama aplenty late on in the Woodlands Hotel Adare Handicap Hurdle and at the end of the two miler it was Persistent that brought up a double for J P McManus at Tipperary. Jezki took the Grade 3 Istabraq Hurdle earlier for McManus. That fellow is handled by Jessica Harrington and it's Joseph O'Brien that has care of Persistent. Lion In His Heart was still in front when running out after the second last flight. Meanwhile the gambled-on joint favourite Oscars Den was staying on from off the pace when 'missing' the last. As it was then, the Shane Shortall-ridden Persistent proved strongest up the run-in for a length and a half verdict over Timi Roli. Carrigmoorna Matt finished third, whilst the aforementioned Oscars Den ended up in fourth place. "He has been knocking on the door a few times now and that's his sort of class," said McManus racing manager Frank Berry. "We'll tip away with him for the winter and Shane (Shortall) said he coped with the ground - it's loose ground. Shane gave him a grand ride." 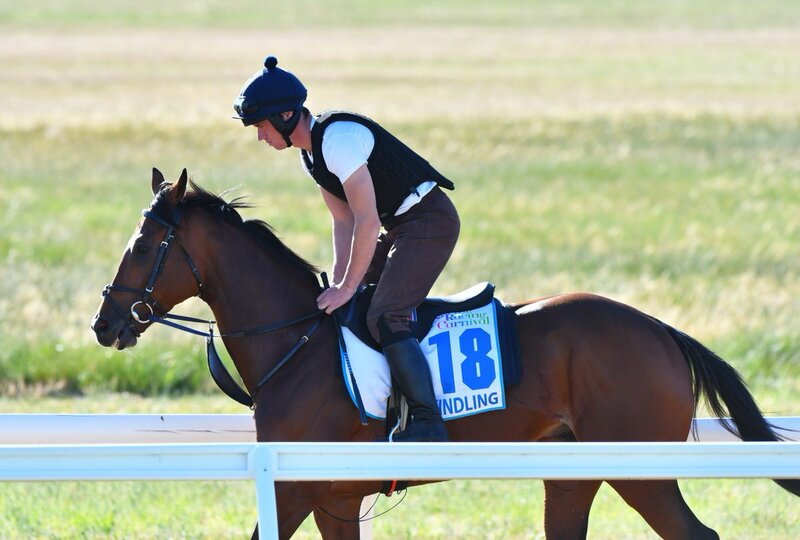 Owner Lloyd Williams has declared Irish Colt Rekindling as the other horse he is pinning his hopes on in his bid to win a sixth Melbourne Cup, saying he was “keen on him”. He said Rekindling was possibly the best young stayer he has owned since 2007 Melbourne Cup winner Efficient. The search is on for a jockey for him, he carries 51.5 kg's he was last seen out finishing 4th in the St. Leger at Doncaster.